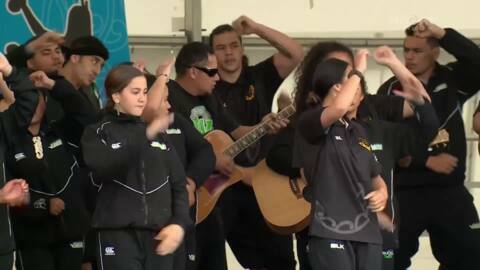 The slam poetry group from Ngā Puna o Waiorea have taken out the WORD - The Frontine slam poetry competition. 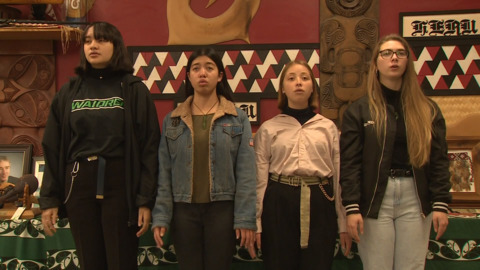 Four young Māori women are speaking up and making waves through slam poetry. 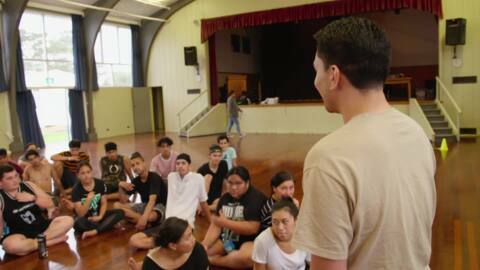 Te Kāea caught up with the group of 16-year-olds from Western Springs College in Auckland ahead of the Front Line WORD Grand Slam Poetry competition next week. We head to Spain on route home to New Zealand for some much deserved down time. But a recent terror attack in Barcelona has everyone on edge. 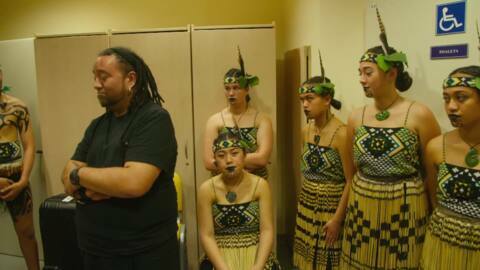 The team have concerts in the riverside town of Vistula. 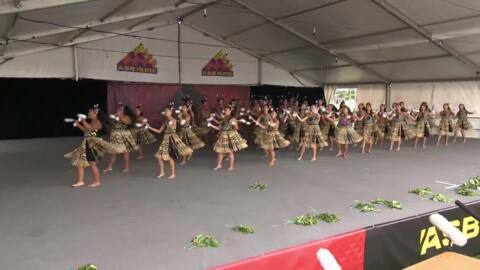 Centered around the tutors and whānau of Ngā Puna o Waiorea a total immersion unit within a mainstream school in central Auckland as they prepare to take their kapa to the world stage. 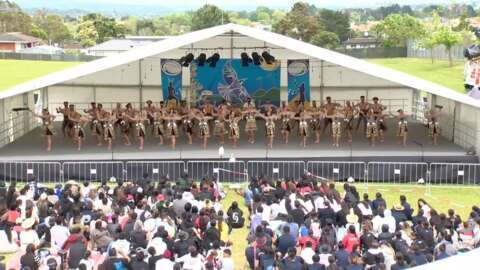 Five days out from departure to Poland, the students are struggling with the workload to perform at the cultural festival while juggling assignments which are due before they leave to Europe.